Republicans hold an absolute monopoly on power in the state of Michigan. With majorities in the House and Senate and with a Republican in the governor's office, they are positioned to do whatever they wish. Yet, Republicans still struggle to check items off their to-do list -- and most of what they do get done hurts Michigan residents and slows economic recovery. Take the recent Medicaid expansion debate. Under federal law, Michigan has to decide whether to accept federal dollars to expand Medicaid. The federal government would pay 100 percent of the cost for three years, after which its share would be phased down to 90 percent, with the state contributing just 10 percent. Allowing expansion would make health care affordable to nearly 500,000 additional Michigan residents, including small businesses employees, and would save the state more than $200 million per year. The deal is such common sense that it has attracted support across the political spectrum from Democrats to Gov. Rick Snyder. 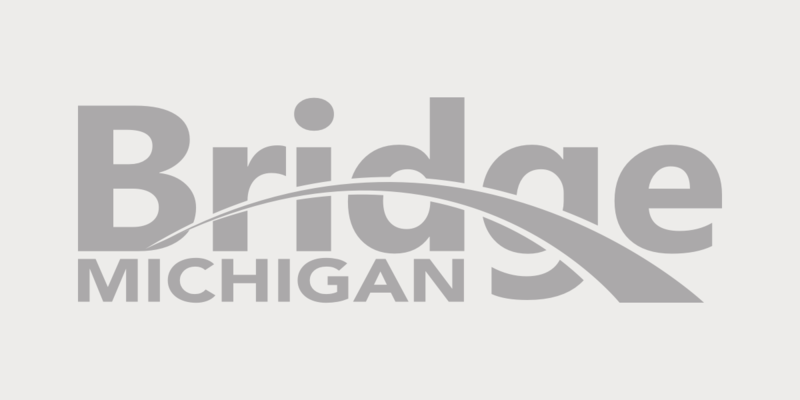 Business organizations, including the Michigan Chamber of Commerce and the Small Business Association of Michigan, strongly support the legislation. After several false starts, House Republicans finally got on board with Medicaid expansion, and House Democrats cooperatively worked with them to pass the bill. The plan was then sent to the Senate, where it immediately stalled. Republican senators are afraid to back the plan because they are terrified of primary election challenges from Tea Party candidates. They have decided to put primary politics before good policy that would extend medical benefits to nearly half a million residents, bring financial relief to Michigan's small businesses and save the state millions. Even worse than what Republican legislators have failed to accomplish is what they have succeeded in doing to Michigan residents. Since taking control of the state in 2011, Republicans have imposed deep cuts to local public schools, robbing our children of nearly $2 billion. We're now seeing the effects: higher class sizes,shortages of computers and school supplies, failing school districts and shuttered schools. Republicans insist that they haven't cut school funding because they have put millions of dollars into teacher pensions, but Michigan residents are smarter than that. Michiganders know that student success depends on a lot more than teacher pensions; it requires that adequate resources reach the classroom to positively impact student learning. Michigan's middle-class families have also borne the brunt of Republicans' short-sighted policies. The governor and legislative Republicans gave billions of dollars in tax giveaways to big corporations and paid for them by increasing taxes on residents. They forced seniors to pay a new tax on retirement income. They eliminated the Homestead Property Tax Credit for 400,000 taxpayers, gutted the Earned Income Tax Credit that rewards low-income employees who choose work over welfare, and eliminated the $600 per-child tax deduction for all of Michigan's families. Incredibly, the governor and legislative Republicans argued that these tax changes would create jobs. Not surprisingly, they haven't. There is a better way. The House Democratic caucus unveiled our budget priorities and identified how to pay for them by cutting corporate welfare and government waste. We called for hundreds of millions of dollars in tax relief for Michigan families, by eliminating the new Republican tax on seniors' retirement income, restoring the Homestead Property Tax Credit for all Michigan residents, reinstating the per-child tax deduction, and increasing the Earned Income Tax Credit. We proposed investing hundreds of millions of dollars in early childhood education, in K-12 schools, and in colleges and universities. Most importantly, these funding increases would be tied to reductions in class size and making college more affordable. Investing in quality education is the key to our state's economic growth and to the future success of our young people. Unfortunately, Republican legislators refused to incorporate the vast majority of these important priorities into the budget. We will continue to fight for the things Michiganders value most: education, opportunity, and rewarding hard work through tax relief. Republicans have made their missteps entirely on their own. Republicans hold a monopoly on power and have no one to blame but themselves. Republicans can't point the finger at anyone else, and they would be smart to hold themselves accountable now, before voters do so at the ballot box. Rep. Greimel seems quick to belittle and demean those who have achieved something that he and his loyal Party were unable to do when they had political power. Is that envy or is fear that drives those comments. He belittles the voters who put those Republicans into power while ignoring the decades of the Deomcrats cowtowing to the 'leadership' of Unions in the State. It would seem Rep Greimel would rather spend other people's money than and keep the State in fiancial disaray than then address the realities of these financial times. He seems wants to appear to be driven by 'good intentions' but with the spending he wants other to pay for he makes no mention of how he expects that spending to change things. He wants to spend more money on medical but does he really care if it improves people health, he doesn't mention it. He talks about spending on education but never mentions what he expects from those spending money on education and how he will hold them accountable. If Rep. Greimel truly wants Rep. Bolger accountable and be replaced based on that accountability then he shold offer a description of how they should be accountable and how himself and his party loalist to the same standars. Does Rep. Greimel really care about how effective taxpayer dollars are spent or does he just want to to be the one spending those dollars without accountability. Regardless of the republican political response by Duane who won’t give us his last name, Mr. Greimel’s statements are factual, i.e., * republicans have imposed cuts to local public schools, stealing children of nearly $2 billion annually, * republicans gave billions of dollars in tax giveaways to big corporations and paid for them by increasing taxes on residents, * republicans forced seniors to pay a new tax on retirement income, * republicans eliminated the Homestead Property Tax Credit for 400,000 taxpayers, * republicans gutted the Earned Income Tax Credit that rewards low-income employees who choose work over welfare, * republicans eliminated the $600 per-child tax deduction for all of Michigan’s families * republicans failed (so far) at Medicaid expansion, even though Gov. Rick Snyder, business organizations, including the Michigan Chamber of Commerce and the Small Business Association of Michigan, strongly support the legislation. Democrats have not had complete power in all three branches of government since over 30 years ago, so Duane’s complaint that (democrats) “were unable to do when they had political power, is republican revisionist history at its worst. The obvious whiny one here is Duane (last name omitted for apparent lack of courage) republican. Ed, I had hoped you would have commented on the points I raised. WHy didn't you describe how I was wrong and how Rep. Greimel has laid out a way for both State agencies and Rep.s could/should be held accountable so the taxpayer could effectively evaluate how their money is being spent and what it is achieving. Instead you are more interest in questioning the credibility of the person raising the issue. Well you assumptions are wrong, the only Party I have ever been a card carrying member of is the Democratic Party. More to the point I was raised to be a 'yellow dog' Democrat, as were my parents. I learn the politics of the Democratic Party at my Mother's knee, not only was she a life long Democrat, she was a State Representative for a dozen years. I am not a Republican, though I have surely voted for some. I have also voted for Democrats and expect to the next election (local) not sure yet about 2014. As for the last time the Democrats had total power (the 30 years ago) was when Governor Blanchard at the direction of the Unions effectively discourage any of the foreign car makers from building auto plants here. As for taxes, I believe their should not be any tax 'loop' holes (it distorts people's view of reality), I believe everyone should pay a share of the taxes so they will own a bit of what the government spends. You could be rigth about being whiny, but to be sure please share what criteria you use for determining when someone is .whiny'. If I meet your criteria I will surely own up to it, but should also realize that I will use that same criteria for determing if Rep. Greimel remarks are 'whiny'. I am also curious why you are so interested in knowing my last name, do you want to determine if I have a right to comment, do you want to know where I live, do you want to know my phone number? Duane, I think you are right. We should stick to the issues. I agree that democrats haven't done any better at being accountable for their actions. Medicaid money for the uninsured would help thousands immediately and perhaps save the state money. Early childhood education will benefit many children. So there is good and bad on both sides. Accountability for education is the big issue for me. Democrats haven't really helped on that issue and because of social promotion we now have high-stakes testing. Better assessment of student learning is certainly needed as well as increasing the expectations we have for students. However, the reforms now being implemented are harming public education, bringing divisions and contempt for teachers. The state taking over cities and schools in mostly minority communities is a good example of the harm Republicans are doing. Increasing class sizes and spending huge amounts of time on testing is harming education. The real problem is that many of these laws that the Republicans have passed will take years to know the effects. Changing the laws governing education and moving the goal posts constantly isn't helping either. Chuck, I agree with who is profiting from the current/long standing education discussion. I am afraid it will continue until what is expected to be delivered by the education is defined and put out for public reference. Only by having a common description of what is expected those who only want to focus on the money will control the programs and legislation. As an example do we expect the students to have a minimum of math and reading skills, do we expect them to understand the basic day to day things such as creidt cards, loans and interest, untilities and the associated bills, do we expect them to be prepared for post K-12 education, do we expect them to be able to recognize personal risks and to understand their choices based on the consequences. When we know what we expect then we can frame the discussion to achieve those things and not just about the money. As for classs size, I am not so sure that is such a broad issue, my wife and I each had classes in elementary school of 30 kids plus +/- a few each year. I will allow that smaller class size early on is logical but as the kids develop so can the class size. THe reality is that a high school senior that goes on to college can expect to have class sizes in the 100 or even 200. I wold rather focus on what the education should be before we get bogged down into the details of classe size or even how much money is needed. As for the State taking over cities and school for financial reasons, we need to take into consideration that those problems had much to do with the choices local elected officials made and the choices the voters made. If the State doesn't take them over should they simply go bankrupt and be disolved? As best I can tell Detroit, Flint and others didn't get into this state over night. Detroit has been building for a generation or two. When will Michigan Democrats start acting like the majority party they are? Democrats received some 55% of the total vote in November but ended up with only 45% of the seats; a function of the failure of Michigan's system of elections to result in a representative House. To date, the Democrats exhibit no interest in correcting this short-coming. The reason we have this discrepancy is that we have a few bankrupt, struggling dependency laden cities where the Democrats have almost 100% of the vote and total control of the local government. You can blame Gerrymandering if you wish but here again, this got it's start from another Democratic scared cow, the Voting Rights Act. From watching these Municipal disasters, we can be thankful they aren't more dispersed.